If there was ever a prime candidate deserving of the a cappella community's support, the AcHOOstics would be it. The all-female vocal group from the University of Virginia has embarked on a journey to produce their first-ever studio album and are looking for your help. While many campaigns to raise money for albums might feel similar in the a cappella community, the AcHOOstics newest project is a special one. 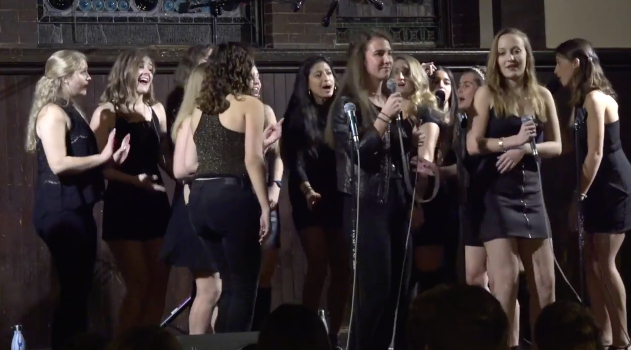 That is because the group is the only philanthropic a cappella organization at the university, wherein 40% of all the group's proceeds go to a specific charity. That's right, every dollar made from concerts, CDs, etc., a portion of it gets donated. That specific charity is none other than the University of Virginia's Children Hospital. When you support the AcHOOstics, you are simultaneously supporting this wonderful hospital. The group is hoping to raise $6000 through this campaign and so far have made 10% of their goal. Consider supporting these incredible ladies as they look to not only make great music, but to give back to their community. To donate to the AcHOOstics GoFundMe campaign, go here.